Well, they're actually a couple of very nice farm animals, but they look pretty badass in these pics. These are a couple of Aussie comicbook characters, both of which were very popular in the local scene back in the '90's. 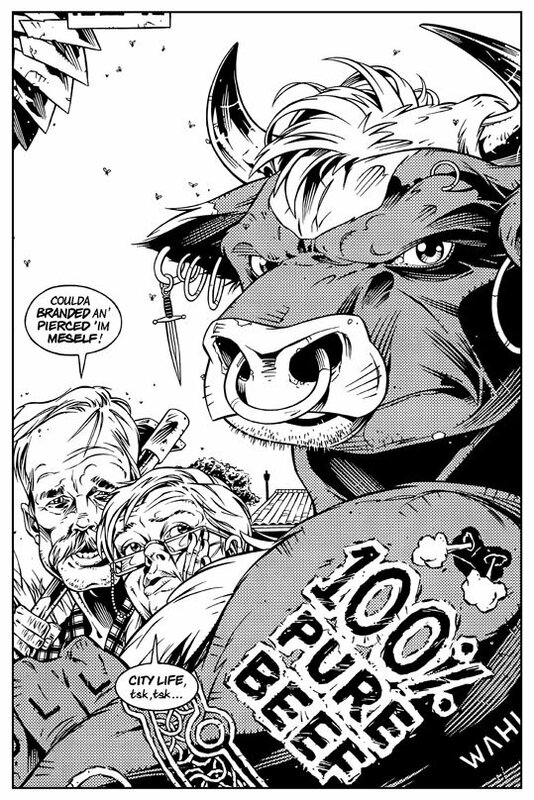 There's Tim McEwen's, Trevor the Bull from 'Greener Pastures' and Issue One's Cyberswine- Half cop, Half machine, Full boar! 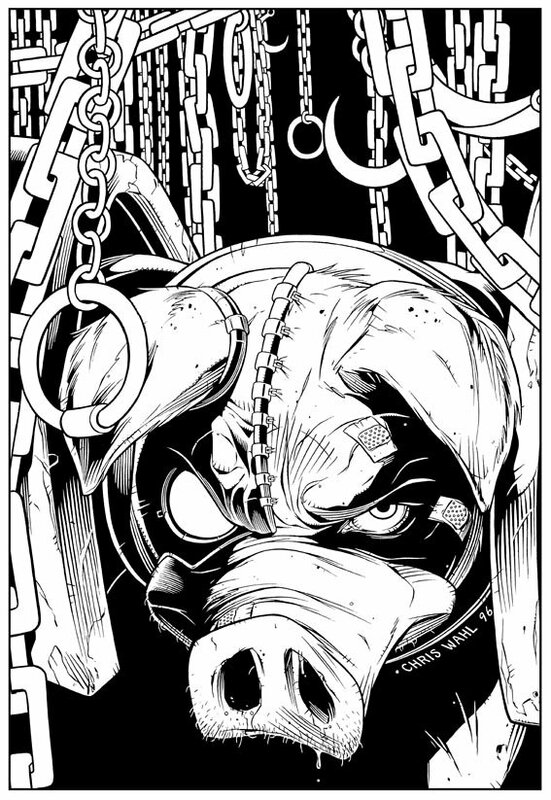 The Cyberswine was a cover for a fanzine mag called Comic's Edge and Trevor was a pinup in #2 of Greener Pastures, both going back about 10 years now. I also used to read Comic Edge as well-I'll have to go back & see if this pic was in an issue I have! Still as impressive today as they were when I first saw them ten years ago. Erin- The Cyberswine pic was a cover, so it should be easy to spot. I did look & don't have the issue. I joined about 10 issues before Comic Edge folded so missed out on lots of prior stuff. I recently came across some old Comics Quartley's too-I assumed they went under too-is there anything of the like at present being sold? Erin- There was the Ozcomics magazine, but I think that too has folded.